Hi! 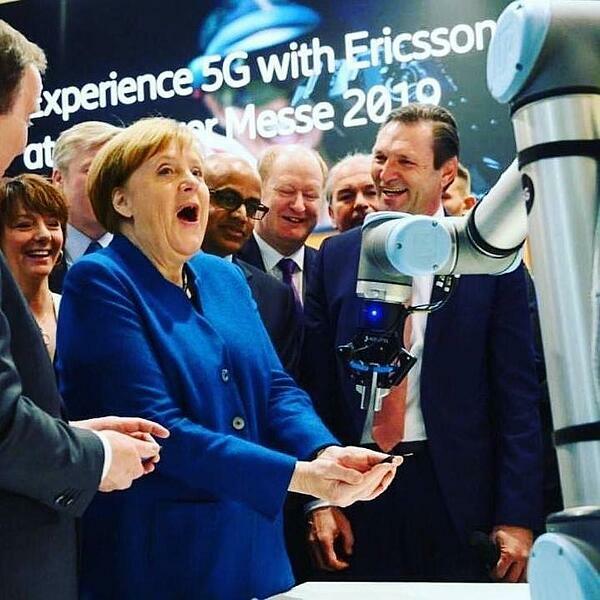 In this week's news mix: Merkel is wowed by a UR-Robotiq cobot-gripper combo, Blue Workforce goes bankrupt, and Flexiv launches its 'adaptive robot' Rizon. We also marvel at Toyota's basketball shooting bot, discover a new VR-based robot swarm control approach, and much more! Flexiv Robotics launched a new robot, dubbed 'Rizon,' at the annual Hannover Messe trade fair this week. [It] is the third generation of adaptive robots, marked by forced control and advanced AI, that Flexiv seeks to dominate with a robotic arm that is more flexible, adaptive and intelligent across a broader task set than competing arms, and which expands the market for where and how robots are used in industrial applications. 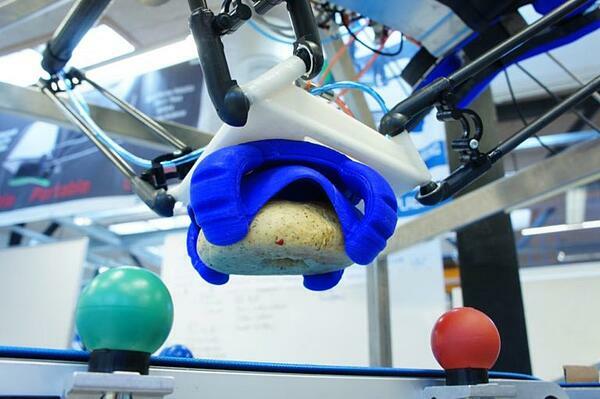 Bischofszell Nahrungsmittel AG is using cobots to improve production efficiency and improve worker satisfaction and workplace safety. Blue Workforce, makers of the Ragnar cobot, has filed for bankruptcy, after failing to raise sufficient financing. 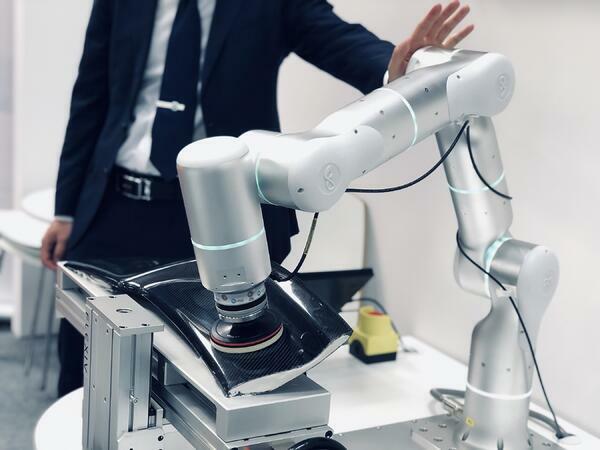 Robot sales in the United States hit a new peak of almost 38,000 units last year, according to the latest figures from the International Federation of Robotics (IFR). 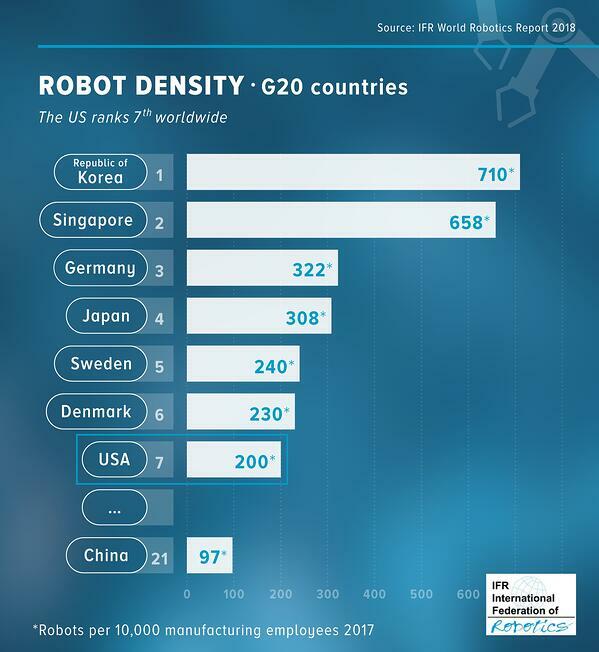 Robot density in US manufacturing is now more than double that of China (and is 7th worldwide). Robot density in the US manufacturing industry reached 200 robots per 10,000 employees vs. 97 in China (2017). The trend to automate production in both domestic and global markets is the main driving force of robot installations in the US. The general industry sector, particularly the food and beverage industry (+64%) and the plastic and chemical products industry (+30%), had the highest growth. And at Hannover Messe, Chancellor of Germany Angela Merkel was spotted playing with a Robotiq gripper! NASA is preparing to send two of its 'Astrobee' space bots to the International Space Station (ISS) later in April. The cube-shaped bots will assist the ISS crew with maintenance and inventory tasks and "help researchers on the ground carry out experiments, test new technologies and study human-robot interaction in space," the space agency revealed in a Tumblr post. The team at DeepMind has unveiled a prototype product that can diagnose eye diseases by scanning a patient's retina in real time. How it works: After the retina is scanned, the images are then analyzed by DeepMind’s algorithms, which return a detailed diagnosis and an “urgency score.” It all takes roughly 30 seconds. The prototype system can detect a range of diseases, including diabetic retinopathy, glaucoma, and age-related macular degeneration. 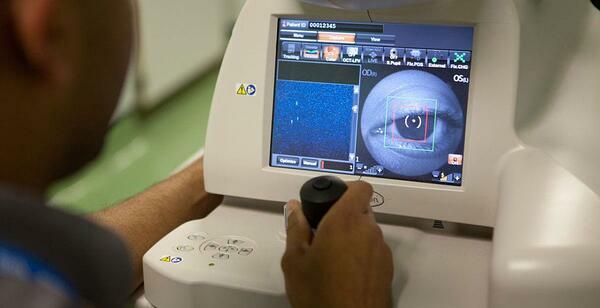 Most notably, it can do this as accurately as top eye specialists, DeepMind claims. 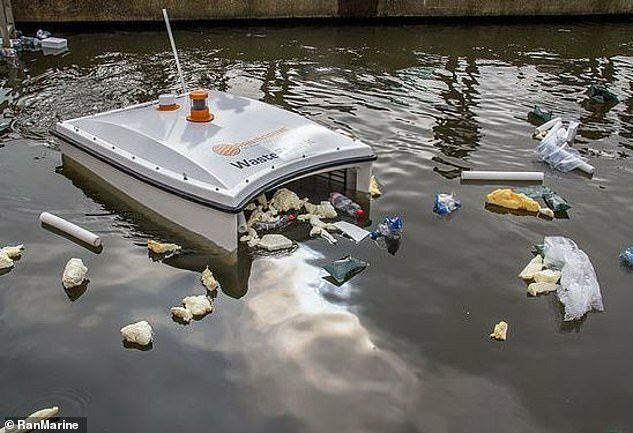 The system was tested out publicly at an event in London last week. Meanwhile, Slovenia is to establish an international AI research center with UNESCO backing (Science|Business); a new paper describes a roadmap for the development of a new type of computer the Simplicity Power (SP) Machine; and Yahoo! 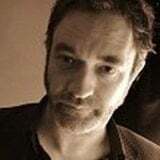 News explored some of the issues around AI-generated comedy. 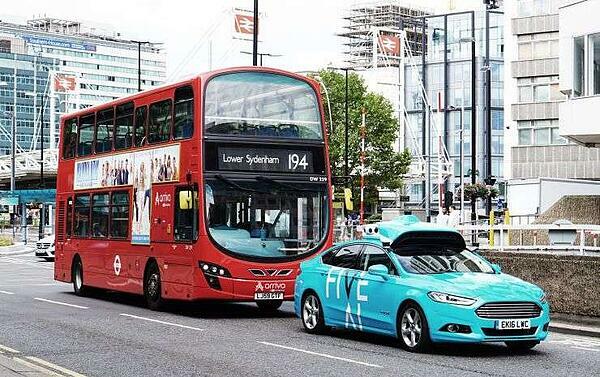 Autonomous vehicle tests have already started in two London boroughs, it was revealed this week. Five vehicles are involved in the tests, which will run day and night and include human supervision. FiveAI, which specializes in areas such as autonomous vehicles, machine learning and artificial intelligence, said the trials, in Bromley and Croydon, represented a “significant next step towards launching autonomous, shared services in London.” The firm added that passenger trials were due to start in 2020. Animals. Nature. Robots. Should they all get rights similar to the ones you enjoy? For example, you have the right not to be unjustly imprisoned (liberty) and the right not to be experimented on (bodily integrity). Maybe animals should too. If you’re tempted to dismiss that notion as absurd, ask yourself: How do you decide whether an entity deserves rights? 2. California-based startup Brain Corp. has announced the launch of its 'AutoDelivery' system --a proof-of-concept, in-store autonomous delivery robot. 4. Toyota has been showing off the capabilities of its 208.28 cm (6'10") Cue 3 humanoid basketball-shooting bot. Cue 3 successfully sunk 5 out of 8 three-pointers in the demonstration, beating two professional basketball players.